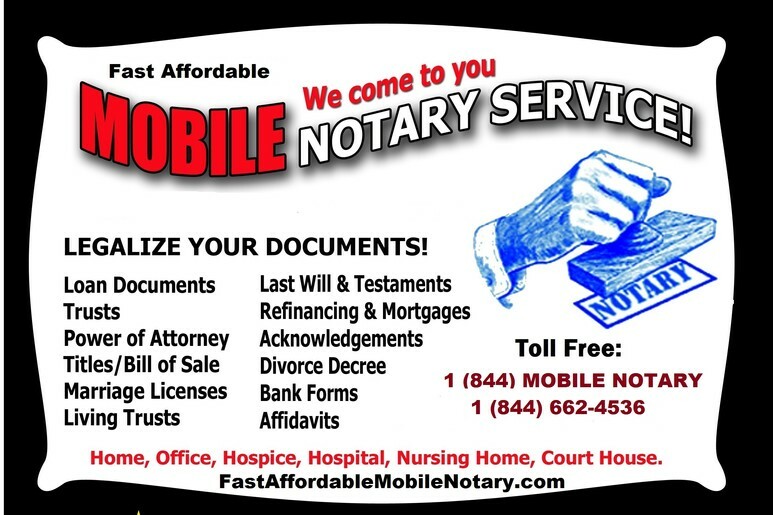 Fast Affordable Mobile Notary Public St Petersburg | Loan Signing Agents Serving St Petersburg | St Pete Beach | Downtown St Pete | and all surrounding area's. Fast Affordable Mobile Notary and Loan Signing Agents Inc serving St. Petersburg, St Pete Beach, Treasure Island, Downtown St Petersburg and all surrounding area's. Notary and Mobile Notary Public Service serving St Petersburg, St Pete Beach, Treasure Island, and all surrounding areas. Services include: St Petersburg Florida - Wills; Trusts; Medical Documents; Loan Signing Agent for Real Estate Documents; House closing; Title work; School and Employment papers, car titles and jail house signings. St Petersburg FL - Most mobile notaries on average charge $75 to $175 for traveling fee and notary signatures for Gulf Coast County for standard notary which may include Wills, Trusts, Power of Attorney, Misc Medical Forms. St Petersburg FL - Most mobile notaries and Loan Signing Agents for Escow and Title agencies on average charge $150 for traveling fee and Loan Signing Documents. Additional fees may apply for printing documents (avg. $35) with free drop off if in same area. Fed Ex is available for shipping costs only. St. Petersburg Fl - Most mobile notaries and loan signing agents for real estate loan closings on average charge $150 for a wedding ceremony. If you just need the wedding certificate notorized charge is generally $95 traveling fee including notary signatures. St Petersburg Florida Mobile Notary Service by Fast Affordable Mobile Notary, Inc. Mobile Notary Public serving St Petersburg and all surrounding area. Wills, Real Estate Documents, Title Companies, Weddings. Same Day. Serving the area's of St Petersburg County. Mobile Notary Public Services for Real Estate Closings, Wills, Child Custody, Licenses and More.....At some in everyone's life, you will need a notary. Why bother taking off work to drive to a notary’s office when mobile notary public services come to you? If you are closing on a mortgage home loan, we can work with the title company to bring the paperwork to sign at your home, office, or other location including all parties. That means you close on your home faster, and with convenience. Our mobile notary publics also can assist with all trusts, wills, child custody agreements, and other important documents you may need to have a mobile notary public service for.